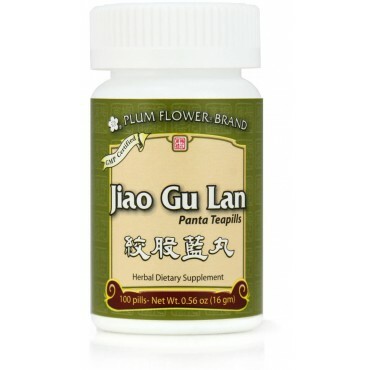 Cholesterol reducing, benefits cardiovascular health, antioxidant, bolsters immunity are some of the imbalances satisfied clients have used this product for. In China Gynostemma is widely believed to have the following benefits: to slow down cellular deterioration and mutation and in particular to prevent senility; to reduce fatigue, to increase vigor; to reduce oxygen deficiency at high altitudes; to improve digestion; to strengthen the mind; and to improve sexual functions. It is also believed to help calm the nerves and to ease pain. Gynostemma is generally reinforcing to overall wellness and has a strong anti-lethargy effect. It has been used against many ailments. To the local people who collect it wild, grow it and consume it, it is simply called "Magical Grass." The ultimate greatness of Gynostemma lies in its broad spectrum adaptogenic quality. It has double direction activity, and has the ability to bring balance to the body under a wide range of stressful circumstances. Constant consumption of Gynostemma tends to have a highly protective quality because it strengthens the adaptive capacity of the person at every level of their life. Japanese studies have indicated that Gynostemma has a double-direction, regulating, adaptogenic influence on the central nervous system. It is calming when one is overexcited and stimulating when one is depressed. Japanese studies have shown that Gynostemma is clinically useful in a number of mental and neurological imbalances, including simple depression, anxiety and schizophrenia. Gynostemma contains many amino acids, vitamins and minerals that are healthful to the human body, including selenium, magnesium, zinc, calcium, iron, potassium, manganese, phosphorus, and more. Though Gynostemma is regarded as a tonic herb, it is also perceived by many Asian people to be a very important everyday staple. In China, Gynostemma is being used to treat inflammation, stop cough, as an expectorant remove sputum, to treat chronic bronchitis, and much more in actual clinical practice. Gynostemma has developed an enormous reputation in Asia as a major aid in weight control programs. It has a double direction activity with regard to weight. It will help reduce weight in plump people, and can help athletes, bodybuilders or excessively slim people to gain weight. As a diet herb, it helps by accelerating the body?s metabolism. It also helps adjust blood sugar and reduce blood fat. Adjusting blood sugar and blood fat are critical steps in attaining balanced metabolic function, whether one wants to lose or gain weight. It has been found that athletes who consume Gynostemma put on more lean muscle than those who do not. Athletes find that their appetites are actually improved and that assimilation is much more efficient. Gynostemma is strengthening to the human immune system. It is used to potentiate immune response and is used to treat a wide variety of infectious imbalances. Studies into the anti-cancer activity of Gynostemma have shown a very significant (20-80%) inhibition rate on a wide range of cancer cells. Intensive studies are now being conducted into both its anti-cancer activity and its potential as an immune protection/prophylactic agent for individuals with suppressed immune systems. There is recent research indicating that Gynostemma likely prevents cells from becoming cancerous. 3 pills, 3 x day. 100 teapills per bottle. Gynostemma pentaphyllum herb. - Jiao gu lan. Other ingredients: Maltose, Talcum, Activated carbon, China wax. The ingredient Yi Tang (Maltose) is derived from barley and may contain gluten proteins. Contraindicated during the early stages of acute illness such as cold and flu, or during an acute infection. Contraindicated for hemorrhagic disorders. Use with caution in individuals on anti-coagulant therapy.